Anytime you’re even remotely thinking about applying for a credit card, it’s good practice to determine if there are any special offers available. And during that process, perhaps also find out if there’s a better alternative to the card you were originally looking at. After all, you might be at the Chase website staring at a 30,000-point offer when there’s a 50,000-point offer available elsewhere. This goes without saying, but it’s worth repeating because I know a lot of people out there don’t bother taking the time to comparison shop, or try to rectify the situation after the fact. Anyway, that brings me to a pretty stellar offer I came across the other day. My neighbor was getting his mail and I noticed the offer on the outside of the envelope. 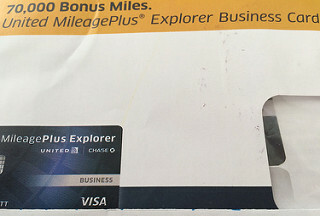 It read: “70,000 Bonus Miles.” And there was a picture of the United MileagePlus Explorer Business Card. I know him well so I asked about it. He opened it up and it was the standard spend $3,000 in the first three months to get the sign-up bonus. Not too shabby I thought, considering that the best offer I’ve seen online is for 50,000 bonus miles after you spend $2,000 in the first three months. Okay, so the online offer requires $1,000 less in spending, but I’d much rather have those additional 20,000 bonus miles for a bit more spending. For the record, the offers are the same otherwise, with the 70,000-bonus mile offer also waiving the $95 annual fee during the first year. So there aren’t any catches as there sometimes are with other unique bonus offers. With ~73,000 United miles you can fly from the U.S. to Europe round-trip with miles to spare. If you only received the 50,000-bonus mile offer, you’d be about 8,000 miles short of your goal of flying to Europe for free. In other words, yes, the bonus you receive matters, especially if you have specific travel plans/goals. What If You Miss a Better Bonus Offer? Always be on the lookout for a better offer and do plenty of digging around before actually applying. If you happen to miss a better offer, you can always call the card issuer after the fact and ask them to match it. Or send them a secure message on their website to get a response in writing. It might not hurt to be a little persistent and certainly mention that someone else was offered more and explain that you’re a good cardholder, etc. Just note that some offers are personalized and can’t be extended to everyone. My neighbor’s offer came with an invitation code and offer code, and an expiration date. Not sure if Chase will match it if you call and ask, but it’s worth a shot if you’re interested in the MileagePlus Explorer card. Tip: An alternative to scoring this offer is to hold out for the Chase Ink bonus when it climbs back to 60k or 70k points, which can then be transferred to United and other frequent flyer programs. The little orange button in the top right corner of my site will allow you to do that. 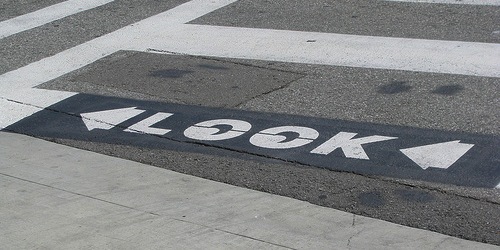 Next Next post: Should You Opt Back In to Receive Targeted Credit Card Offers?